As the fitness tech world continues to soar with wearables and trackers of all sorts, exercise equipment itself has evolved tremendously, too. From LifeFitness’ first exercise bike released in 1968 to today’s Peleton’s at-home cycling class, the fitness industry has to dramatically innovated. The console can track progress, display health biometrics like calories burned and heart rate, and provide entertainment. Digital leaderboards can incentivize participants to work harder. This rise in fitness tech has also been an incredible innovation for fitness companies, too. Screens have been an incredible way for organizations to track user data, and iterate and improve their product. In turn, these metrics have provided entrepreneurs with incredible opportunity to streamline health and fitness tracking, encouraging healthier, fitness-focused lifestyles. 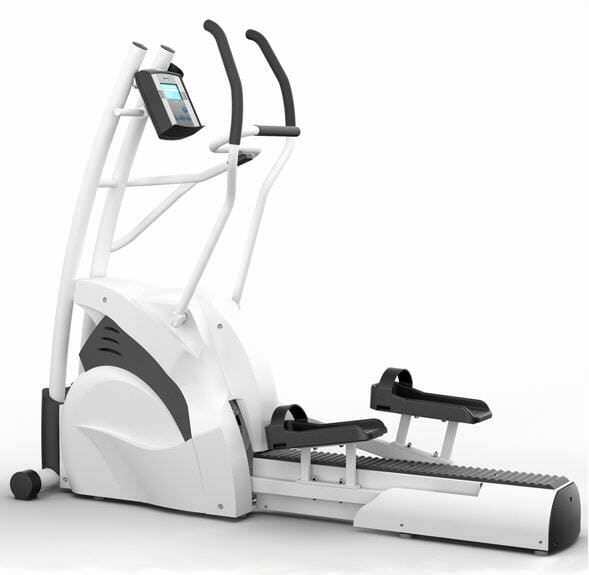 At faytech US, we’ve worked with great emerging forces in the fitness console and equipment space. Ergo-Fit leads fitness equipment when it comes to gym-based equipment by integrating an RFID card reader to easily collect payment for use. Optimal for hotel, spa, or gym space, this technology provides a seamless way for hosts to collect payment, track user performance and key health metrics, and display results. Launched in 2012, Peloton is considered one of the top disruptors to at-home fitness. Their bike includes a 21.5” 1080P HD touchscreen, while the Peloton treadmill features a 32” HD flat screen display. Both connect with Peloton’s New York fitness studio, meaning users can log in, join a live class, communicate with the instructor and connect with fellow class participants from the comfort of their home. TechnoGym supplies fitness equipment for the Olympic Games as well as spas, cruises, and corporate gyms. 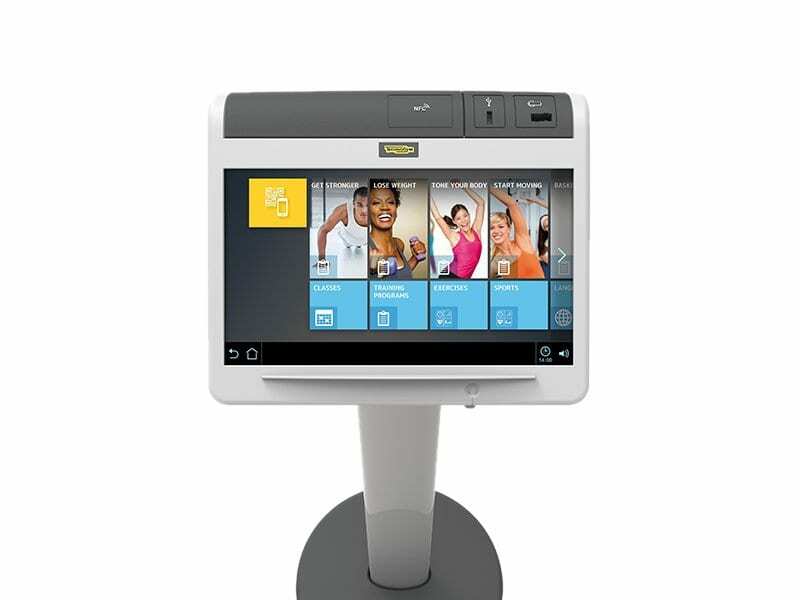 Their embedded touch screens are included in all ellipticals, bikes, and treadmills products. TechnoGym is uniquely capacitive, using a 17” LCD for treadmill screens and 15.6” for ellipticals and bikes. One of their most successful products, Unity Self, is an interactive touch screen kiosk that allows trainers to lead and manage the Group Cycle class with the embedded Group Cycle app. The world’s first Cybic smart cycle was announced at CES 2019. 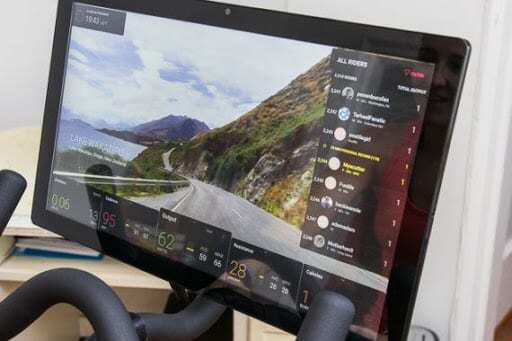 An internet connected bicycle that integrates with Amazon’s Alexa, it includes a small touch screen device that tracks a range of fitness metrics, including speed, distance traveled and time. The information is displayed on the touchscreen, making it easy to keep track of a workout. The screen can also provide traffic information and GPS tracking and mapping. For more information on how faytech is leading fitness technology creation, reach out to us here.